In case you were wondering what to put into this year’s Christmas stockings, don’t worry – we got it covered for you. It’s all about homemade, small gifts that are budget – friendly, easy to come up with and both beautiful and practical at the same time. Below you will find ten ideas, from typical Christmas DIY Stocking Stuffers, to something more unique. It’s up to you to scroll along and choose your ideal stocking stuffers – let us know which ones would you choose! Homemade sugar scrubs are one of those projects that are really easy, simple, budget – friendly and the result is always so satisfying! There’s something so irresistible about scrubs – their texture and their scent, the way they let you experiment with different ingredients. 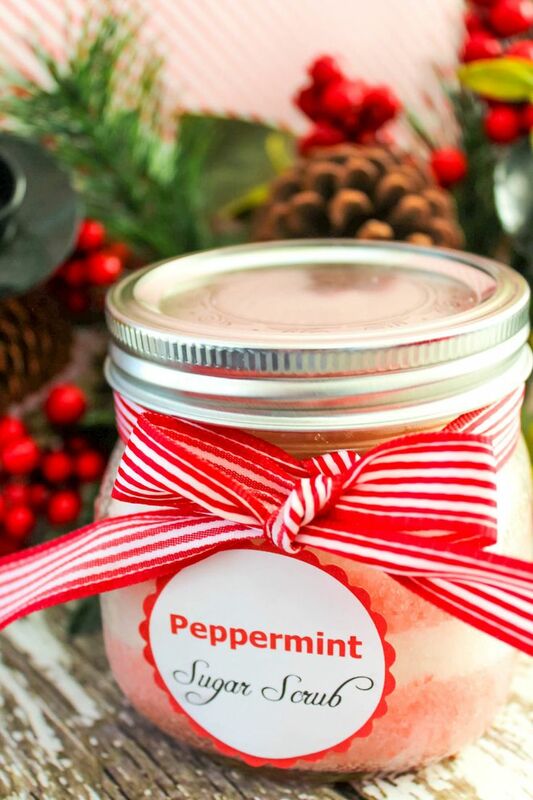 There are many recipes, and peppermint sugar scrub is one of them. You need 2 cups sugar, red food coloring, 1/4 cup carrier oil, peppermint essential oil and mini mason jars with lids. Winter means drinking plenty of hot beverages, so you might want to skip the part where the mugs and glasses leave stains on your table. 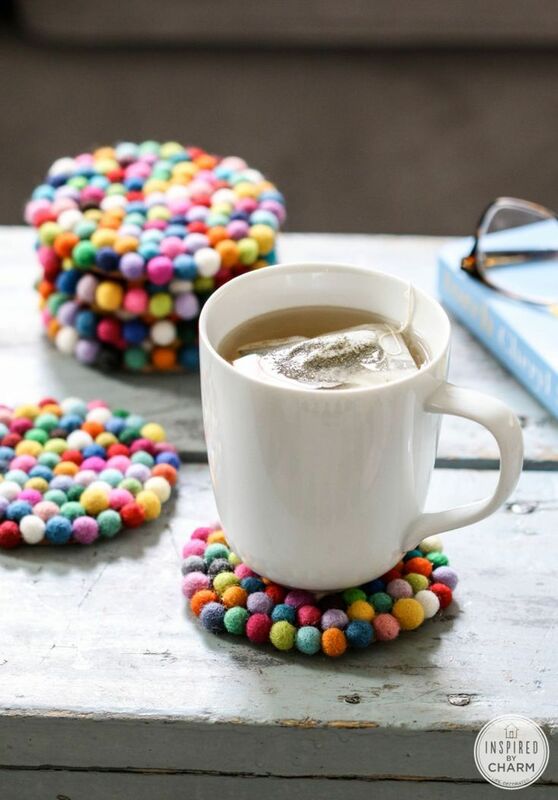 Making your own coasters can be such fun project (and then a very practical and good – looking gift! ), especially if it includes plenty of colorful wool balls. For this project, you only need three materials – 1 cm wool felt balls (90-100 per coaster depending on the size), cork coasters and E600 glue. Mugs are such popular DIY projects and their decoration totally depends on you, which is the most fun thing. You don’t need to be talented artist to come up with an adorable mug. It can mean writing down your favorite quote or drawing a snowman, or in this case just its face and a cute short quote. 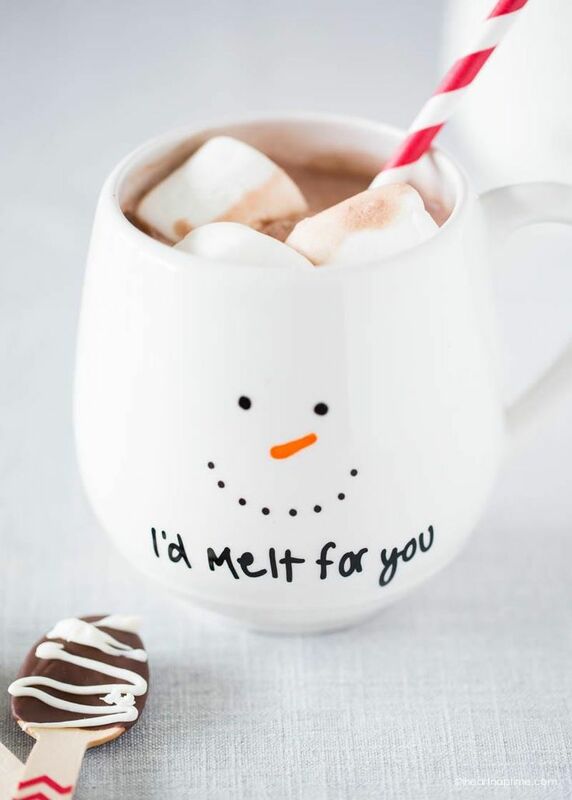 When you’re done decorating with a marker, put the mug in an oven and bake it at 375ºF for 40 minutes. Let it cool right after you take it out. 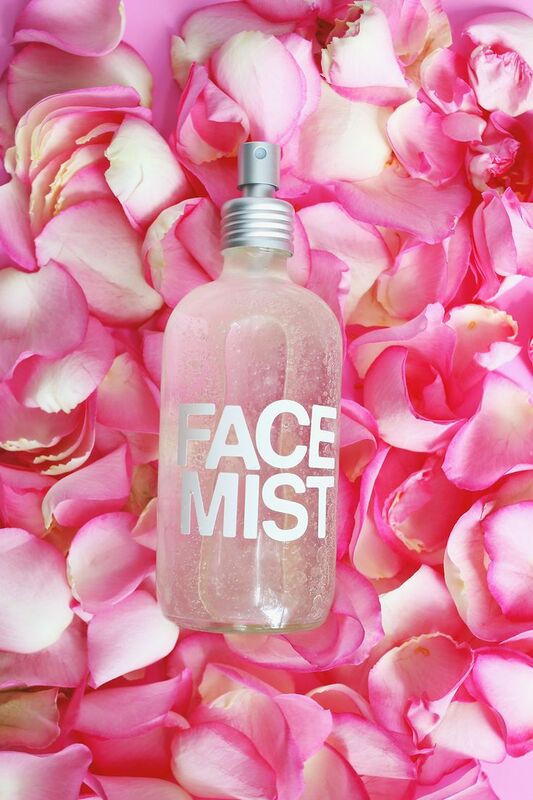 If you’re friend is a beauty junkie of organic products, then we’re pretty sure they’re going to love this homemade rosewater face mist. In a glass spray bottle combine the following ingredients – 2 tsp aloe vera, 1 tsp vitamin E oil, 1 tsp argan oil, 4 drops of Geranium essential oil, 2 drops Ylang Ylang essential oil, 4 drops peppermint essential Oil, 6 tablespoons Moroccan rose water. Fill the other half with unscented witch hazel toner and then top it off with distilled water. Considering the fact that essential oils aren’t cheap, you can skip some of these and still have a wonderful mist! 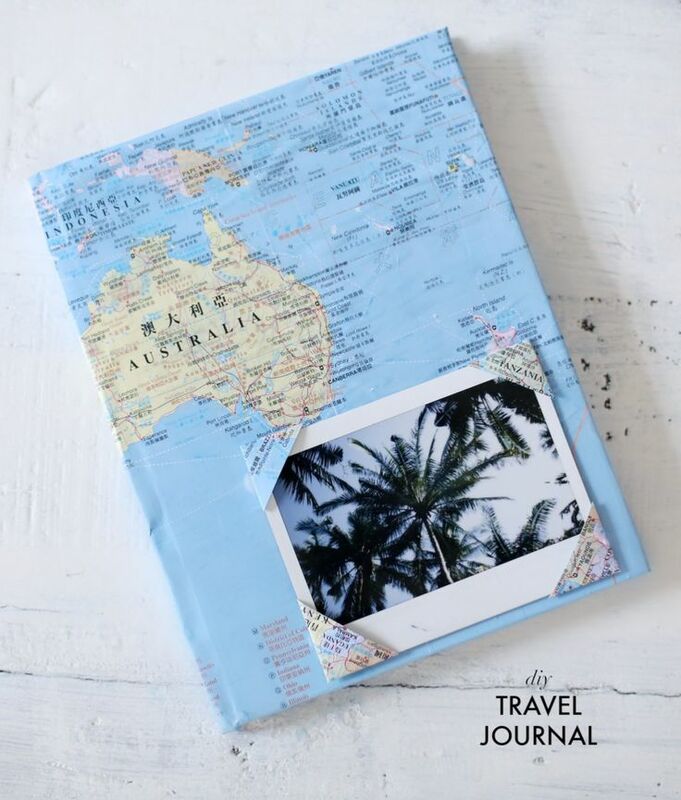 We all have that one friend who loves travelling, so giving them a gift where they can place their loving memories of travelling, tips, thoughts and everything connected to their journeys. The travel journal is an excellent idea for this. 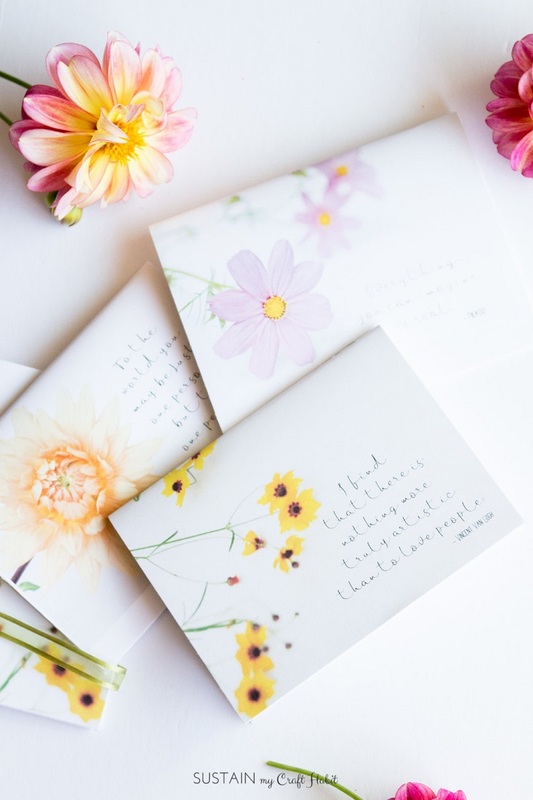 It’s a simple project that doesn’t require too much time and you just need these stuff – plain journal, map, scissor and glue. 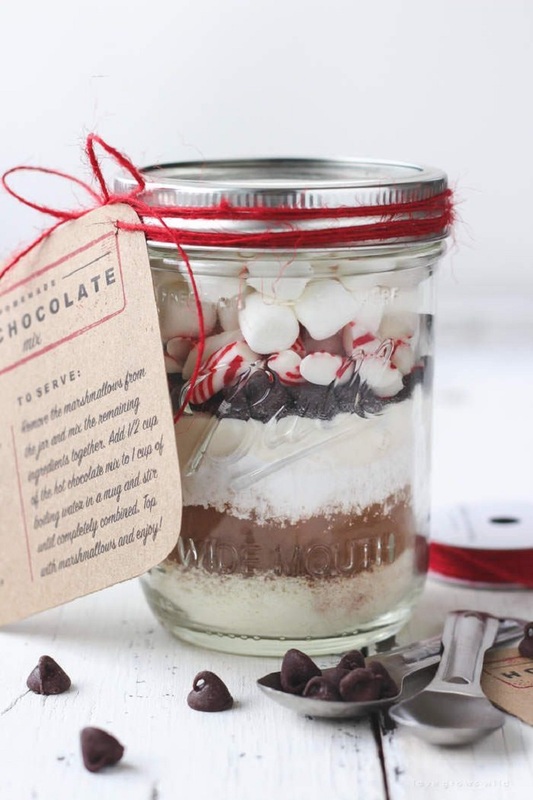 When it comes to Christmas, using mason jars is such a great idea because not only they’re the perfect storage, but when decorated the right way, they look super cute. Take this one for example – it includes layer of delicious ingredients that together make a delicious hot chocolate. As if that’s not brilliant enough, the recipe tags together with the red twine make it look amazing. You can download the tags from the website below the picture. Tassel earrings are totally having their five minutes of fame right now. They’re such a big jewelry trend right now and we must admit that they look so unique! 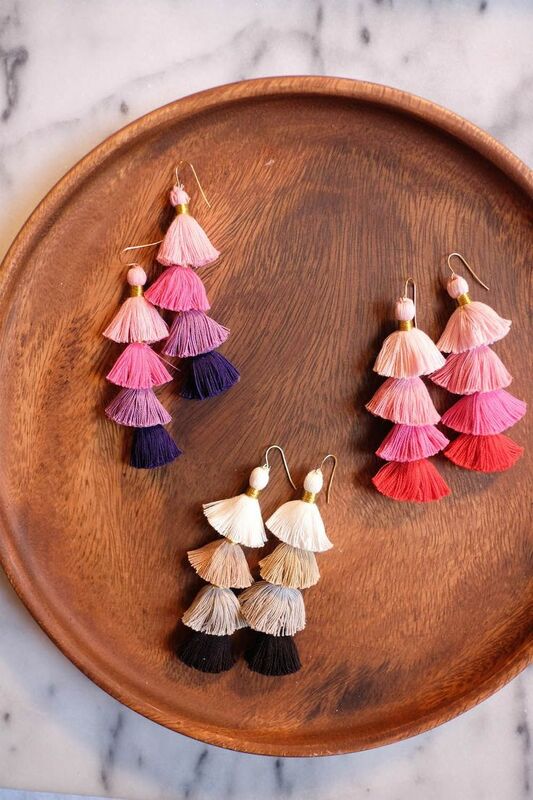 The good thing is that instead of buying them already made, you can make your own tassel earrings at home! It’s so easy and you need – set of mini tassels, ear wires, sharp scissors, needle and thread. Taking them out of the stocking will surely put a smile on your friend’s face. Notebooks are such beautiful gift – not to mention practical as well. For this project, you need printable PDF template (you can download the yellow coreopsis as pictured from the website below the link), colour printer, 1 sheet of white card stock paper, 8 sheet of white multi-purpose printer paper, paper cutter and scorer (or scissors and a ruler) and Large standard stapler. Writing down stuff will simply be a pleasure! Do you have a friend who hates winter? In that case, you can make a gift that will remind them of summer! Instead of going for the typical winter colors and theme, you can use more bold colors that will send out summer vibes. Add a flamingo to the story and you’re good. 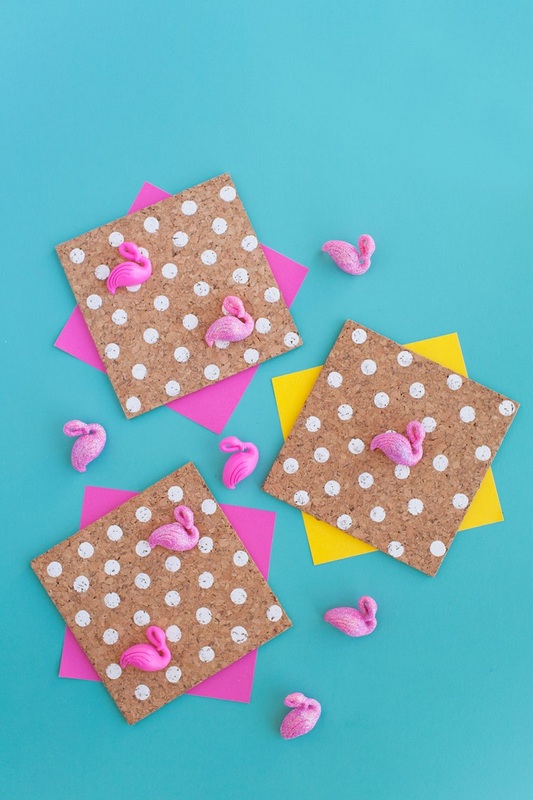 To make these flamingo pins at home, you need flamingo silicone ice cube trays, hot glue gun, push pins, pink acrylic paint, Mod Podge, iridescent fine glitter (bubble gum color) and X-acto knife. Giving polaroid pictures as gift to a special person is a way to show how you cherish the memories you had together. 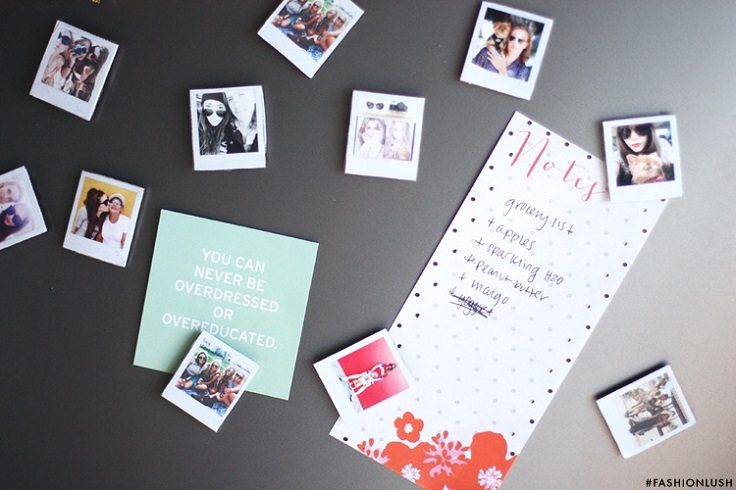 So, forget the typical Christmas gifts and decorating, and go for this creative way – mini polaroid magnets. The fridge isn’t the most romantic thing in the world, but it will put a smile on your friend’s face every time they see the polaroids!